The Columbus Egg celebrates the 500th Anniversary of the discovery of America. 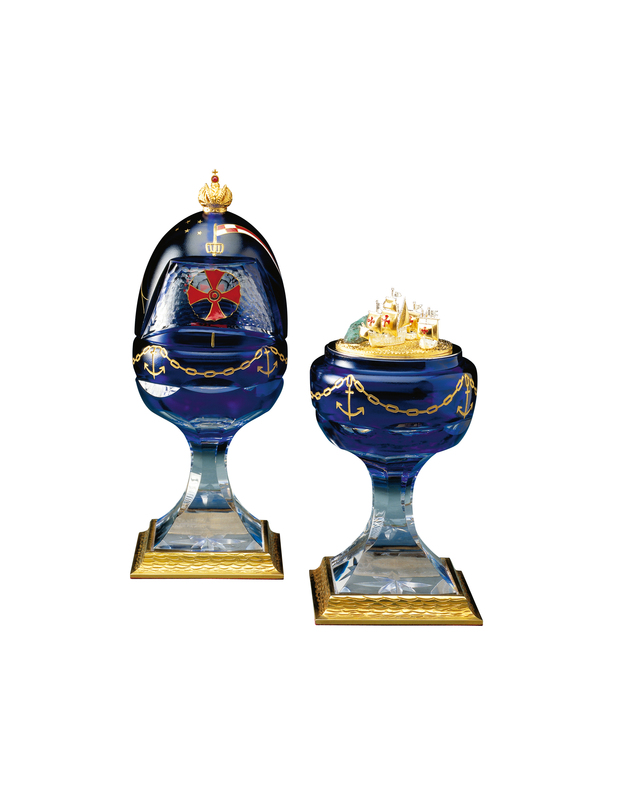 This magnificent Egg is created in 24% cobalt blue crystal. The main sail and the crow's-nest are depicted with flowing flag, anchor and chain motif in 23 carat gold. The Egg opens to reveal three sailing ships, the Nina, Pinta and Santa Maria passing an island on their way to the New World. 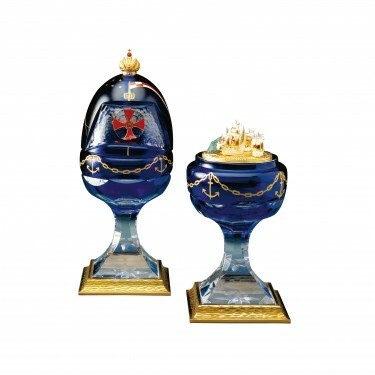 The ships, which sail on a sea of vermeil, are made of sterling silver and enamel. The Egg is a symbol of a past New World and the hope and promises of a New World yet to be discovered. Materials: Cobalt blue crystal, strling silver, enamel and 23 carat gold.